Ground breaking for Crosstown Arts is coming up and Todd Richardson came onto the podcast to discuss. We learn about the past five years of development, future plans, some floor plans, and how it all came together. Surprising to hear just how well things went during planning phases from great reception, to partners with similar plans, and how having art history background worked in Todd’s favor. Crosstown wants you to know that you too can be a part of this historic building, they will be looking for residents to help occupy what looks to be a premier culture center in Memphis. 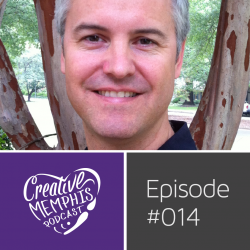 Erik Jambor is executive director of Indie Memphis. One of the city’s core arts institutions, Indie Memphis connects and inspires indie filmmakers and film-lovers through the unique creative landscape that is the home of the Blues and the birthplace of Rock ‘n’ Roll. 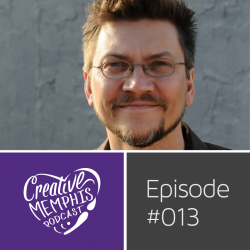 In this episode Erik takes us behind the scenes, shares his passion for film creation, how he started a festival in Birmingham that continues today, the selection process for films, and how he became involved with Indie Memphis back in 1998. You’ll hear previews for films coming to this year’s festival, get the low down on other film initiatives that Indie Memphis takes part in, and why Erik’s first films had Jawas in them. This year Indie Memphis will take place at Playhouse on the Square, Circuit Playhouse, Hattiloo Theater, and Malco Studio on the Square. Indie Memphis is presented by Duncan-Williams.